Religions | J.W. 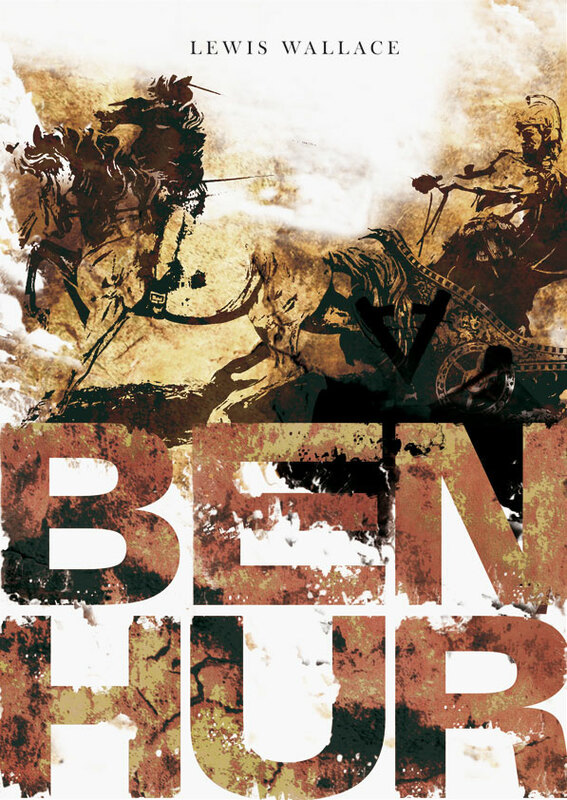 Wartick -"Always Have a Reason"
A beautiful cover for an edition of Ben Hur- I was unable to locate the exact copyright information. Each post in this series will begin with a segment from the book itself. Here, we jump into a scene in which one of the wise men is telling the story of how he came to be in a desert, meeting up with the others. He is Greek. I have abridged the segment to focus on the areas in which this series is most interested, namely, the ways God interacts with humanity. 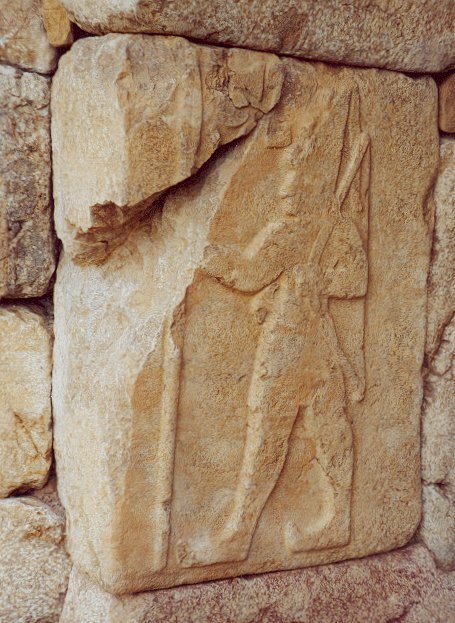 “In the northern part of my country–in Thessaly… there is a mountain famous as the home of the gods… Olympus is its name. Thither I betook myself. I found a cave [nearby]… there I dwelt, giving myself up to meditation–no, I gave myself up to waiting for what every breath was a prayer–for revelation. Believing in God, invisible yet supreme, I also believed it possible so to yearn for him with all my soul that he would take compassion and give me answer. “As he does all who cry to him with such faith,” said the [Hindu]. This passage can be found in Ben Hur, Book I, Chapter III. It may be read in its entirety online here (it is public domain due to expired copyright). 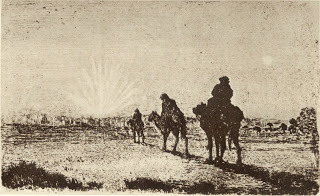 An illustration from the Ben Hur novel. I was unable to find a specific copyright. Christians have proposed many different answers to one of the most pressing questions, itself having been pondered for centuries: “What about those who have never heard?” The question is regarding salvation–can those who have never heard be saved? But it isn’t only that. It might be nuanced in many ways. For example, are there any who have not heard what is required to be saved who would respond if they did hear it? Though the answer initially may seem obvious, it must be thought over carefully before one simply says yes or no. One of the answers Christians have given to the question of those who have not heard and their salvific status is pretty straightforward: there simply are none who have not heard. The claim seems rather extraordinary, for, after all, entire swathes of humanity never had contact with any Christian missionary for vast periods of time. Yet, this answer to the question suggests that God sends a witness to anyone who would respond. Thus, if there is someone in a place where Christianity had not yet reached who would have responded to a missionary, God somehow sets it up such that that person hears from someone about Christ. In the example from Ben Hur above, we see that the Greek was looking for the divine–hoping for a response. Thus, through providential act, a Jew washed up on shore to instruct him about the truth. It seems this solution to the problem of religious pluralism and those who have not heard is unsatisfactory. There are many reasons for this. First, it supports a rather dim view of other cultures through a system that is ultimately culturally imperialist. Second, it seems to stretch credulity, for it would follow from this position that either there have only been very few outside of the parts of the world where Christianity is dominant who would have responded to the Gospel anyway (see previous point) or that there are innumerable instances of shipwrecks washing missionaries on shore in far off places all over the world to wherever someone might respond to the Gospel. Either of these seems unsatisfactory. However, it is possible that the “Sending a Witness” answer could be part of an answer to the questions posed here. It just does not seem capable of carrying all the weight on its own. Like the previous answer, the “direct divine revelation” solution to the problem of religious pluralism and specifically those who have not heard is one which ultimately results in the answer: None have not heard. For, if someone would respond to the Gospel, God simply reveals Christ through direct revelation. In the selection above, we see that a dream reveals the Holy Spirit to Gaspar. This answer to the questions raised above is perhaps more satisfactory than the previous one, but difficulties remain. The primary one is that although several firsthand instances of this type of thing happening are found, they do not seem to be as ubiquitous as they might need to be in order to adequately account for all those who have not heard. Again, this may be part of a larger multi-level response, but I don’t think it can stand on its own. Although I don’t agree with all of his conclusions, I think that John Sanders’ book, No Other Name is perhaps the best work I have read for providing background into the different proposed solutions for the question of those who have not heard about Christ. It would be a good read for those wishing to explore the topic further. I do not condone this image nor do I claim rights to it. See post. I saw a few friends sharing or commenting on the meme I’ve shared here the other day and thought it was definitely worth a response. Here at the start I want to note that I do not condone the image shared here and think it’s deeply problematic for reasons that will become clear in what follows. I think that we need to be careful when discussing things like this primarily for two reasons: 1) verses quoted out of context can be used to support anything; for example, I often run into atheists quoting from Joshua and arguing that it means that Christianity is inherently violent or has violent roots; 2) the picture itself doesn’t really do much to make me think any effort was made to understand what is being quoted. See below. Another issue is that in the Qu’ran, people aren’t referred to as Muslims but rather believers, etc. Again, this is a fairly basic misunderstanding that would be like putting the word “Christian” into the Bible all over the place when it’s not there. The alleged quotation of 22:19 is particularly problematic, because it completely rips the verse out of context. According to the picture, it says “Punish the unbelievers with garments of fire, hooked iron rods, boiling water, melt their skins and bellies.” Not only is this actually a reference to 22:19-20 but it also is not a command at all. The context of 22:19-20 is the day of judgment and this punishment is that described of for those in hell (see Surah 22:16-17 for more context). Quoting this verse to say Islam is violent would be akin to quoting a passage about weeping and gnashing of teeth from the Bible, turning it into a command to Christians without justification from the text itself and then saying it proves Christianity is violent. I checked a couple more references and they too not only shortened the alleged “quotes” but also largely took them out of context. Yet another problem with a picture like this is that it doesn’t account for the fact that in actual practice, the overwhelming majority of Muslims are not violent. 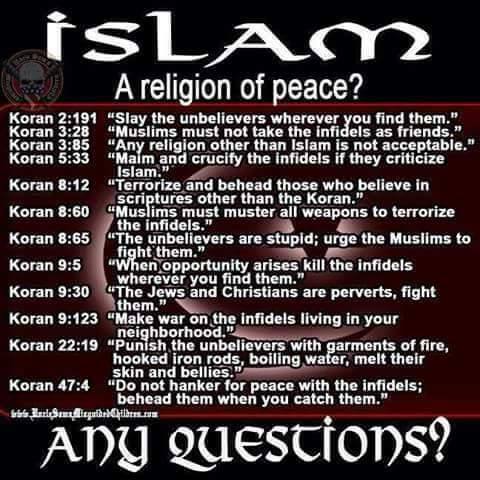 I’m not sure of the actual number of Muslims in the U.S. alone, but with over a billion Muslims in the world, if every single one were indeed violent, I would imagine that fighting would be occurring in the streets of Dearborn, MI; New York, Minneapolis, etc. Yet I don’t see this happening. Isolated incidents? Yes. A complete totality of violence everywhere? No. I would argue this is because the vast majority of Muslims have a more nuanced approach to the Qu’ran and its interpretation than simply quoting verses out of context allow; just as Christians would argue for nuanced interpretations in much the same way. I have not entered into a wider discussion of Islam and religious violence, nor is this the place to do so [see some posts in the links]. I conclude simply by noting that the use of memes like this are, I think, deeply problematic. If we as Christians expect to be treated fairly and have real differences among Christian beliefs and interpretations acknowledged, if we think that people unfairly quote our holy texts out of context and that we deserve to have our nuances of thought also conveyed, then we should do the same for those of other faiths. The Myth of “Religion” – Constructing the Other as Enemy– How has the category of “religion” been used to support the premise of religious violence and making the “other” into an enemy? Book Review: “The Myth of Religious Violence” by William Cavanaugh– Here is a book which discusses the notion of “religious” violence at length with sometimes startling conclusions. Star Wars is not normally where I go to begin discussions about worldview. The most recently completed mini-series, however, “The Fate of the Jedi,” was full of material for discussing worldview perspectives. Here, I will only touch on a few of the many themes the series brought up. Some of these include world religions, objective morality, and theism. Of course, there will be HUGE SPOILERS for the Star Wars universe prior and up to this point. PLEASE REFRAIN FROM POSTING COMMENTS FROM OTHER STAR WARS STORYLINES. I’ll not be summarizing the plot of the Fate of the Jedi series, which you may find by following the links for the individual books here. A huge part of the early stages of Fate of the Jedi involved Luke Skywalker and his son, Ben, traveling around the galaxy and visiting other various Force-using schools. These different Force-using schools paralleled, in many ways, various world religions. For example, the Baran Do Sages held onto a kind of gnostic way of knowing, where secret knowledge was preserved by a select group of masters to pass on from generation to generation. Another example is found in the Mind Walkers, who try to separate body from soul in order to walk in a completely different reality. Not only does this also seem gnostic in its bent, but it also reflects the notion of the extinction of the self found in some Eastern religions like Buddhism and Hinduism. There are a few other schools that the Skywalkers visit throughout their travels, and each has aspects of at least one world religion reflected therein. Of interest is that the way the series approached the various parallels to world religions is that many of them appeared to be fairly obviously wrong. That is, they had a feel of wrongness to them, but they also seemed to get aspects of reality wrong. The Mind Walkers, for example, allowed their bodies to waste away while they experienced their own way of entering into the Force. One cannot help but sense a kind of aversion to this belief system, in which the body is so totally denigrated. Some of their comments also reflected a lack of concern for distinctions between good and evil. Yet again, this is a distinctive of some Eastern religions, and it is a way in which they are factually mistaken. Those who fail to make distinctions between good and evil, between reality and the mental life; they are operating under a mistaken view of reality. The Fate of the Jedi, then, does not teach a kind of religious pluralism. Instead, it eschews pluralism for showing that some belief systems do not work. They simply do not line up with reality. The character of Vestara Khai is an extremely interesting figure. She may be the most complex character since Mara Jade. A Sith, she is captured by the Skywalkers, who initially do not trust her whatsoever (and for good reason). Yet, in a kind of typical story of conversion in the Star Wars universe, they begin to turn her to the Light Side of the Force. She realizes that her own life has not been based upon good, and she also acknowledges a distinction between good and evil. Her realization is centered around her relationship with her family and friends (such as they are). For a little while, it seems that Vestara is a true convert. Yet the reader knows throughout that although Vestara has changed her whole way of viewing the universe, she is not entirely a convert. She still puts herself first. In fairness to her, she does so thinking that she is putting others first, and she often does seem to prioritize the needs of Ben–whom she’s come to love–over herself. But when push comes to shove, she betrays the trust of the Skywalkers in the most dire possible way, by giving away the secret identity of a loved one and dooming her to a life of dodging the Lost Tribe of the Sith. A commentary on the darker side of human nature, Khai’s life in the books also begs the question of where one goes from there: what redemption may be in store for someone who seems to have ruined all chances at salvation? The notion of prophecy is found throughout the Star Wars universe. There was the prophecy of the “Chosen One”; later, prophecies revolved around the Sword of the Jedi and the Unification of the Force. Each of these prophecies were expected to be fulfilled. In the Star Wars universe, prophecy is the product of the Force. One wonders, however, how this plays out with what is an essentially impersonal force. It seems that in order to give revelation, there must be some kind of personal reality; for prophecy relates to the actions of persons. Ultimately, readers encounter the Celestials–a group of beings (Father, Son, and Daughter… and later Mother) of extreme power. These beings are tied into the whole plot of the expanded universe books of Star Wars in some ingenious (and sometimes a bit questionable) ways. Although these beings may appear to parallel a kind of pantheon, it becomes clear that they are not. 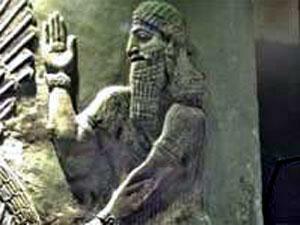 They may be seemingly eternal, but they are also contingent: it was entirely possible for them to be destroyed. Again, it is not these beings who drive reality; it is the Force. The Force is the power in the universe, the ‘all in all’ of the Star Wars universe. Yet, as I’ve argued above, it is hard to envision the force as entirely impersonal. It delivers prophecies and sometimes even answers the call of those in need. The “Trinity” created and driven by the Force ultimately drive the Force themselves in many ways. 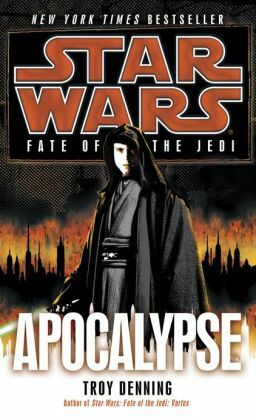 The Fate of the Jedi series explores a huge number of issues related to worldview. I didn’t get to nearly all the major issues, let alone the minor ones, which come out throughout the series. Of interest is how the series clearly brought up world religions in such a way as to avoid pluralism, but rather provided ways to distinguish between truth and falsehood in religion. Prophecy begs for a personal being, yet the allegedly impersonal Force provides it. It was great to experience the Star Wars universe in such a way as to have it bring up so many issues of worldview in often thoughtful and, frankly, thought-provoking ways. Troy Denning, Star Wars: Fate of the Jedi- Apocalypse (New York: Del Rey, 2012). Everyone has their own truth. What’s true for you is true for you, what’s true for me is true for me. All religious backgrounds have a piece of the puzzle. All roads lead to the same goal. Pluralism is rampant in our society. People want to affirm everyone’s belief. Tolerance is the buzzword. Few want to talk about the differences in worldviews. It’s easier to affirm everyone’s beliefs as having a place in the interchange of ideas. Thus, for Hick and most other pluralists, all religions are oriented towards some kind of Ultimate or Transcendent, from which they derive all of their beliefs. Thus, these pluralists can affirm the notion that all religions are “true” in a qualified sense. The problem with pluralistic claims is that in their gusto to affirm all religions as true, what they’ve actually done is said that all religions are false. Again, Hick realizes a problem inherent in qualifying religions–and specifically Christianity–such that they can all be true. The problem is that some claim to have stated actual truths about transcendent reality. In other words, when a theologian claims that God is Triune, they are making a claim about objective reality. But Hick’s proposed solution is to simply place such theological claims into the reports of experiences about the “Real”: “according to our hypothesis, the different traditions are not reporting experiences of the Real in itself, but of its different manifestations within human consciousness” (171, cited below). Unfortunately for pluralists, what this has done is create what I find to be the real problem for pluralists. The problem is that the pluralist is the only one whose claims about the Real/Transcendent are true. The presumption of pluralism is that it assumes the invalidity of all religious claims. Only the pluralist can see that all religious claims to exclusivity are false. The exclusive claims of individual religions are dismissed offhand. After all, if all ways are true, then none can be exclusive. Again, look at the reasoning from Hick: the claims of theologians are not actually claims about the Real itself. Rather, the claims of the theologian apply only to the Real-as-experienced in human consciousness. In other words, those making truth claims about individual religions are only expressing claims about their own subjective experience of an objective reality: the Real. Thus, the pluralist undermines the truth claims of all religions, while simultaneously trying to affirm them. Only the pluralist is able to look beyond the truth claims of religion and see that when the Muslim claims that Allah is the only God, he is mistakenly reporting his experience as opposed to a claim about reality. Only the pluralist can see that the Christian who claims that Jesus is the only savior, she is only reporting her conscious experience of the Real. The Buddhist who says there is no God is similarly mistaken: perhaps there is? Who knows? Only the pluralist can see that all of these contradictory claims about religious reality are in fact merely the reports of conscious experience of a supra-reality: one which stands above all religions and is the true religion. The bottom line is that the pluralist has become the exclusivist. Only the pluralist knows the true way. Thus, their system must collapse in on itself. It either relegates all religious claims to become mere reports of human consciousness and thus affirms itself as the only true religion, or it must affirm blatantly contradictory claims like “God exists” and “There is no God” or “Shiva is a god, Vishnu is a god, etc.” and “There is no God but Allah.” The pluralist has presumed much. If all ways are true, then none are. Pluralism has failed. Can we evaluate worldviews?– I discuss how to evaluate rival worldviews and outline some criteria by which to do it. A Vision for Christian Apologetics to World Religions– I outline a vision for Christians interacting with believers of other faiths. Integral to this approach is understanding others’ beliefs. John Hick, The New Frontier of Science and Religion (New York: Palgrave Macmillan, 2010). 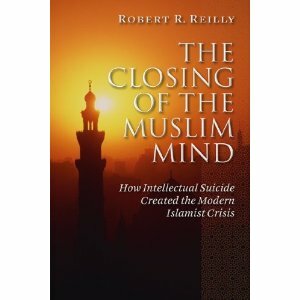 One can tell from the outset that Robert Reilly’s The Closing of the Muslim Mind will be highly controversial. The title alone will spark anger and conflict. Yet when one gets to the content of the book, what will be found therein is a thought-provoking discussion about the consequences of particular beliefs. 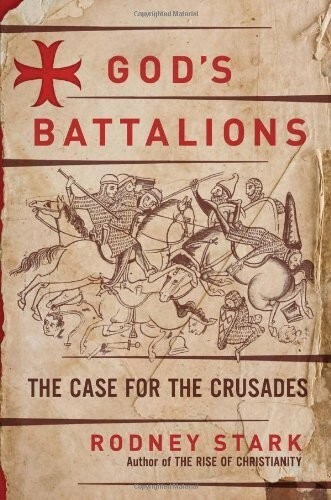 The central point of the book is “the story of how Islam grappled with the role of reason after its conquests exposed it to Hellenic thought and how the side of reason ultimately lost in the ensuing, deadly struggle” (1). Reilly contrasts this with how the West dealt with some of the same issues: “The radical voluntaraism (God as pure will) and occasionalism (no cause and effect in the natural order) found in them [Muslim theologians in the 9th-12th centuries] were not seen to any significant extent in the West until… David Hume began writing in the eighteenth century. By that time the recognition of reality had become firmly enough established to withstand the assault… Unfortunately, this was not true in Sunni Islam, where these views arrived much earlier” (7). 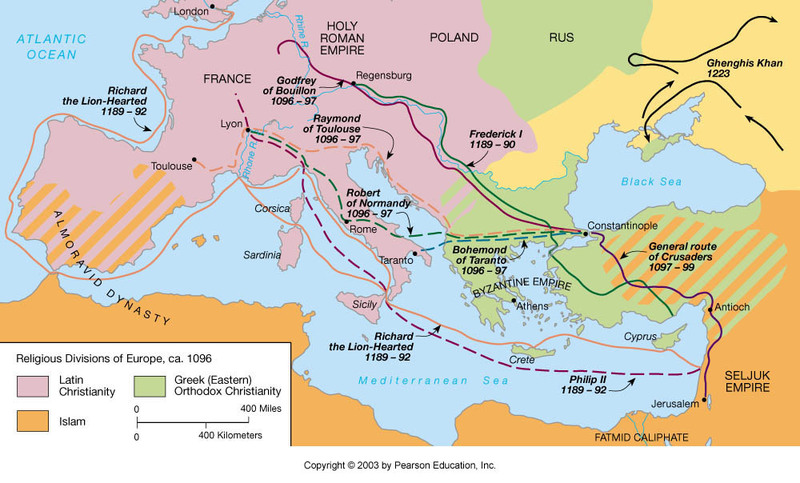 Reilly maps out the history of the development of Muslim thought. Initially, once Islam came into contact with western philosophy, there was a great amount of interplay (11ff). One early struggle was between man’s free will and fate. This struggle was over the meaning of key verses in the Qur’an as well as a debate over whether the Qur’an is temporal or eternal and uncreated. The notion that the Qur’an is eternal and uncreated, in turn, restricted rationality from evaluating the meaning therein (19). The development of Muslim reflection on the Qur’an and Allah’s will led to the replacement of reason with rationality (45-46). Similarly, because the Qur’an was Allah’s will, and it did not explicitly endorse kalam (a branch of Muslim philosophy and theology), this rational discourse was to be abandoned (47). Furthermore, this entailed the destruction of the notion of the “autonomy of reason.” Only within the structures of revelation could reason operate effectively (48). Furthermore, creation itself has no inherent reason. Each moment is merely a “second-to-second manifestation of God’s will” (51). While one may be tempted to say Christianity is exactly like this (and some branches may indeed hold to this teaching), there is an important distinction between the two views, for on the Christian view of God, God’s action is driven by His nature, and so He will operate within His promises as well as within the boundaries He has set for himself. God, on most Christian views, is inherently rational and so will operate in rational ways. So while creation indeed subsists moment-by-moment because of the will of God, God does not arbitrarily change His will (56ff). On the Muslim view, Reilly argues, God’s will is absolute (as opposed to His nature) and so there is absolute voluntarism. At any time, Allah could will that which before Allah did not will (51-53). Furthermore, one cannot say one “knows” God because God is pure will. As pure will, there is no reason for any particular action, and so God is inherently unknowable (54ff). Another consequence of viewing God as pure will is that good and evil are essentially vacuous terms. “If Allah is pure will, good and evil are only conventions of Allah’s–some things are halal (permitted/lawful) and others are haram (forbidden/unlawful), simply because He says so and for no reasons in themselves” (70). Allah is therefore above morality and the problem of evil is made meaningless, for evil is merely that which God forbids. Essentially, the system is voluntaristic theism (71ff). Reilly argues that these theological positions have had dire consequences for Islam in the political realm as well. These positions undermine the inherent worth of human beings and posit the primacy of power over reason (128); democracy is the answer to a question the Muslim world has not asked (130), for if God is pure will, then His regents on earth are operating merely under his whims, and can be just as arbitrary in their decisions (131); “Man’s only responsibility is to obey” (131); finally, “there is no ontological foundation for equal human rights in Islam, which formally divides men and women, believer and unbeliever, freeman and slave” (133). The consequences reach farther, however, and touch the sciences as well. For if Allah’s will is that which causes all things, then to say that there are “natural” explanations is to insult Allah. Instead of saying that hydrogen and oxygen yield water, people are instructed to say “when you bring hydrogen and oxygen together… by the will of Allah water was created…” (142). Of course, the denial of secondary causation touches upon more pragmatic areas of life as well. After all, if Allah wants something to happen, then it will; if not, then it won’t. Reilly presents a number of contemporary sources demonstrating how these aspects have been radically undermined in the Muslim world, where often anything can pass as a news story and anything can be stated as true (147ff). 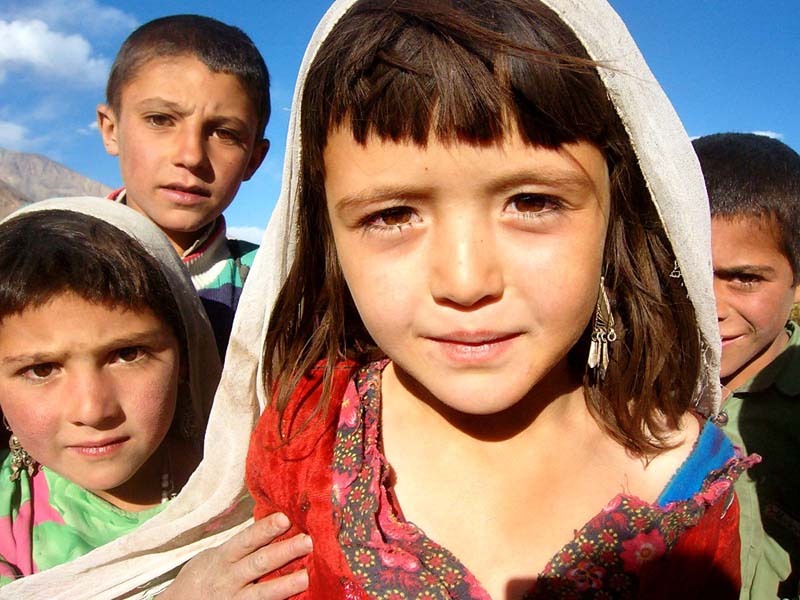 Furthermore, the Muslim world trends towards underdevelopment and illiteracy. Reilly maintains that some of this is due to the consequences of the theological views outlined above. 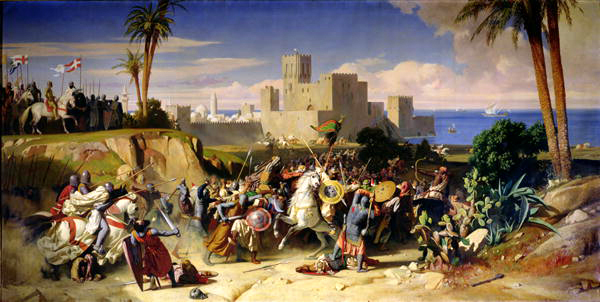 Historically, the dilemma within Islam over reason vs. voluntarism came to a head when the Muslim conquests began to be turned back. When defeats happened, Muslims had to ask why it was that they were losing when, presumably, Allah desired them to win (165ff). Some viewed it as a consequence of the stagnation of science and intellectual development in the Muslim world. Others, however, viewed it as a need to go back to the roots of Islam and become even more radical. The world, therefore, according to Reilly, is faced with a crisis: can reason be re-introduced into the Muslim theology and trickle down into every aspect of life, thus freeing the Muslim world from the shackles of voluntarism? Or, will Islam continue down its path and overemphasize the radical occasionalism of nature and God, while undermining reason? Such is the crisis. It is striking how well Reilly has supported his theses with quotes from the writings of various Muslim theologians and philosophers. Throughout the work, he quotes numerous scholars from both modern and ancient sources. What these quotes reveal is that his points are not found in a vaccuum–rather, the notion that the absolute, determinating, arbitrary will of Allah underlies everything that happens does indeed undermine rationality. It is interesting here to reflect briefly upon the notion that some of these same themes are found within certain branches of Christianity. Whenever God’s will is placed as the ultimate source of all activity on earth (voluntarism/occasionalism) rather than as a providential will which guides such activity, reason and rationality can be jettisoned just as easily as they were in the development of Muslim thought. Similarly, if Scripture is seen as above any kind of rational inquiry to determine its meaning, one can replace man’s cognitive abilities with blind faith. Reilly’s book can therefore serve as much a warning for Christians engaging in doctrinal reflection as it is a call to Muslims to restore rationality to their faith. Reilly’s work, The Closing of the Muslim Mind should be seen as required reading for those interested in interfacing with the Muslim faith. Reilly ties together compelling chains of thought which have led to the current Muslim crisis and demonstrates how current thinking is a result of the past. It is a thoroughly researched book and those opposed to his conclusions will be hard-pressed to show the cracks in his theses. I highly recommend this work. Once one gets past the title, which may be seen as inflammatory by some, Reilly presents well-reasoned, compelling, historically grounded argument about how the theology of Islam has led to the destruction of its intellectual capacity. Robert Reilly, The Closing of the Muslim Mind (Wilmington, Delaware: Intercollegiate Studies Institute, 2010). Christian Apologists seem to only rarely focus upon world religions. Perhaps that is because many Christian apologists feel uncomfortable interacting with other religions. It is easy to be weighed down by fears that one might say something wrong and be deemed either ignorant or bigoted. It may also be simply that Christian apologists don’t feel they have the expertise do operate in this area. 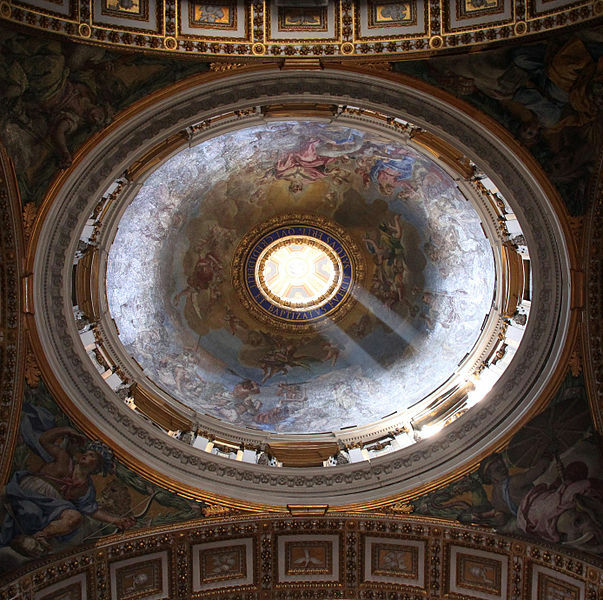 It is my goal in this post to paint in broad strokes and provide areas of development for Christian apologetics and theology regarding world religions. Because I’m painting in broad strokes, I’ll be raising many questions I’ll leave unanswered for now. I’ve included links at the end of the post for those interested in reading more. 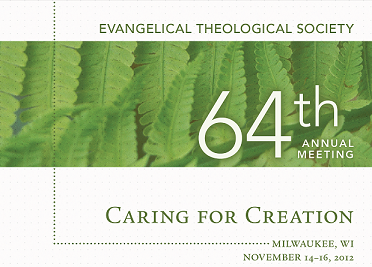 It has been said that evangelicalism needs a theology of religions. 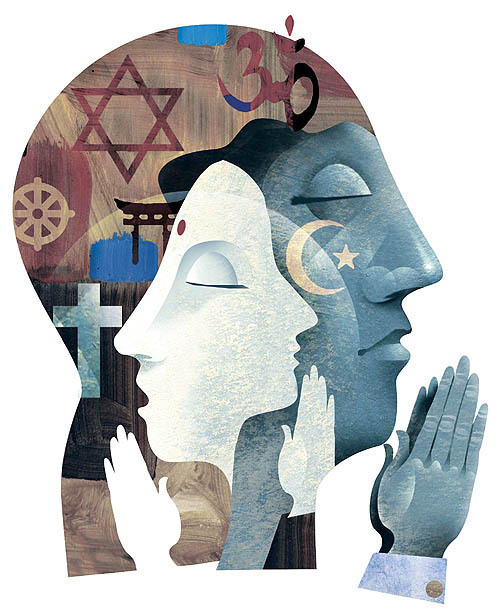 What does the existence of other religions mean? Do they have truths? How do we interact with them? These questions must be addressed by Christians who desire to explore the reality of their faith. Christian apologists, in particular, must be learned enough to know what position they take on these issues before they seek to defend their faith. The study of another religion should not be done superficially. It is a good start to have a general volume on “world religions” and then read each religion’s respective section, but it is not nearly enough for the Christian apologist to do if the apologist desires to interact with believers from these other religions. 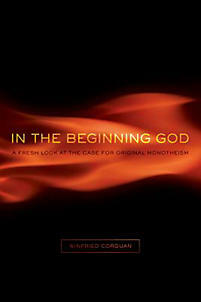 A study of another religion, particularly for those interested in witnessing to them, must be more in-depth. The holy book(s) of the other religion is(are) necessary reading. But one cannot stop there. Few religions are based upon one book. Christians can readily acknowledge this, having had much thought and belief defined through tradition, apostolic and patristic. Similarly, when a Christian studies another religion, he or she must be willing to delve into the religion, to understand it from an insider’s perspective. It is not enough for the apologist to read books about other religions, seeking to find fast and easy ways to refute them. Rather, the Christian apologist must engage with believers of other faith, acknowledging shared truths where they exist and seeking to understand the differences. Certainly, apologists must know the areas of weakness in other religions so that they can point these out as they debate and dialog on the religions. What I’m suggesting is that this cannot be the only thing Christians know about other religions. They must not be satisfied merely by knowing a series of arguments against those from other religions. Rather, they must be willing and able to engage with those in other religions. The attitude of the apologist is a servant’s heart–one that seeks to understand. In understanding, he or she will win many. Thus, when apologists approach another religion, they must understand that religion enough to engage with those who believe it and who live it. The Christian apologist must not deceive, but rather seek to understand. In understanding, Christians will understand more about their own faith, and be better able to spread it to those of other faiths. Know what the other believes. Never assume you know their faith as much as they do. Read their book. Nothing will open up avenues for discussion as much as the knowledge that you have read the books they find holy. Know Christianity. If you don’t know what you yourself believe, how are you to share that with others? As you engage with people of other faiths, you must continue to learn about your own faith and its answers to the questions others pose. Preach the Gospel. The goal should not only be to rebut the others assertions and beliefs. It should be to guide the other towards Christ crucified and the salvation provided for by God. Build a Genuine Relationship. It isn’t enough to simply engage in dialog; one must show they are interested in what the other has to say and what they believe. They must also be more than an occasional debate partner; they must build a relationship and become a friend. I’m not suggesting deception here, the relationship must be genuine. By showing a Christlike life to others, we can show them the intimate joys of Christianity. Going forward, it is time to turn to a method for Christian Apologists to learn about other religions. Read general discussions about the religion. A book on world religions is a good place to start, but be aware that these are, by necessity, generalized. Read what other Christians have said about the religion. Neighboring Faiths by Winfried Corduan is a simply phenomenal resource which surveys the world religions from a Christian perspective. Read the holy books of the religion with which you are going to interact. If you wish to engage a Muslim, read the Quran. If you want to interact with a Taoist, read the Tao Te Ching. As you read these books, keep in mind that you will find truths in other religions due to God’s natural revelation to all people. Seek out believers from the religion, and engage with them in discussion. Ask them what they believe, but don’t allow your questions to be that general. Instead, focus on specifics. For example, “If I were seeking to learn more about your religion and beliefs, how would I go about doing so?”; “What is[are] your favorite passage[s] from your holy book, and why?” Questions like these will show them you’re not seeking to attack but to understand. Read web sites dedicated to explaining other religions to those seeking. In this way, you will get a basic introduction to the religion while also viewing it from an insider’s perspective. Read other Christians who have engaged these religions in dialog and mission work. Consider responses from scholars within the religion to Christians working in that field. Be familiar with arguments for and against the positions you seek to put forward. Above all, read God’s word. Only by being familiar with the Bible will one become an effective apologist and missionary. Jesus’ words will draw people from all backgrounds, and the Bible’s richness and truth will gain a hearing from all nations. This list is, of course, not comprehensive. It merely provides avenues for research. What to do with the knowledge? Christians must engage with those of other faiths. Seek out those who are willing to discuss their faith with you. You will find that many interesting discussions will follow and you will learn much about yourself and Christianity in the process. Never stop seeking truth. All truth is from God. If someone from another faith says something which challenges you, seek the answer. There are thousands of years of Christian writing out there just waiting to be tapped. Not only that, but simple searches online will turn up innumerable apologetic resources. Do not let the discussions turn into debates only. Debates are good when there is an audience of people who may be swayed one way or the other, but in individual conversation, your goal should be to spread the Gospel, not to win an argument. Become a prayer warrior. Do not let a day go by where you do not pray for those with whom you are engaged in discussions about the faith. Tap your fellow resources. There are many other Christians working in the areas of religions, and they are willing to help. Do not be afraid to ask for it when needed. The vision for Christian apologetics and world religions I’ve put forth here is admittedly vague, but I hope it will provide a way forward for those interested in dialog with those of other faiths. This vision has followed five primary thoughts: know the other’s faith, read their book, know Christianity, preach the Gospel, and build a genuine relationship. The most important thing to remember is that as a Christian it is your duty to spread the Gospel. Do not let yourself come in its way. I highly recommend Winfried Corduan’s book Neighboring Faiths. What about some of those unanswered questions–what about the unevangelized? This is matter of considerable debate and there are numerous books on the topic. I would recommend “What About Those Who Have Never Heard?” for an introduction to these views. For those wanting to explore inclusivism further, see No Other Name by John Sanders. Those interested in exclusivism/particularlism, see Is Jesus the Only Savior? by Ronald Nash.